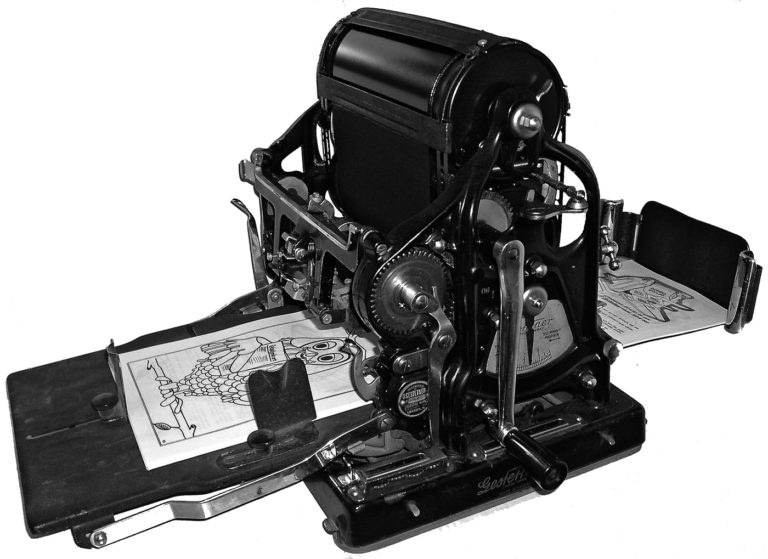 As with mimeographs and later risograph printers, the quality of the prints was rather limited, and the use of documents printed with the spirit printer was severely limited in time as the color of the prints quickly faded. Thus, this method was not suitable for archival purposes. [Note]cf. 36[/note] The costs were very low and the spirit printer was therefore used by schools, associations, churches and other smaller organizations for printing, also because of the usable, very inferior and thus cheap paper. 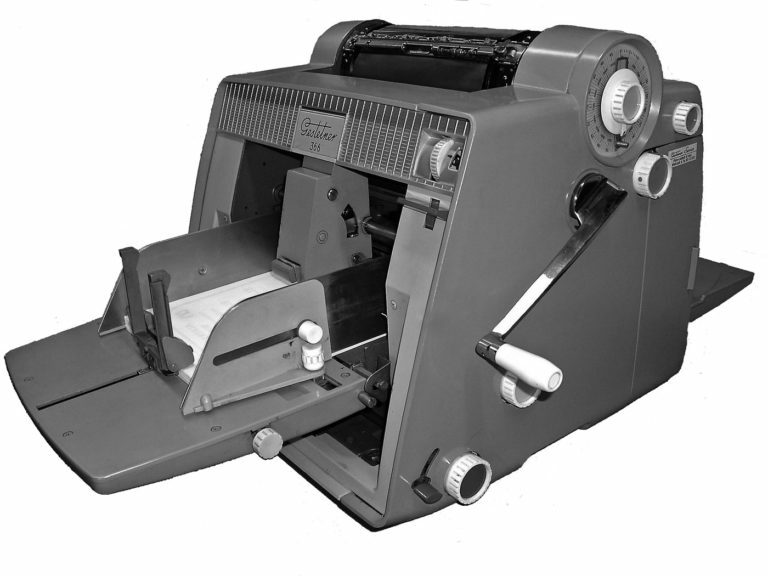 Spirit printers, like the other duplication methods, gradually began to be used less frequently and were eventually retrieved in 1970 and replaced by the more favorable and higher-volume printing process of Xerography 4.